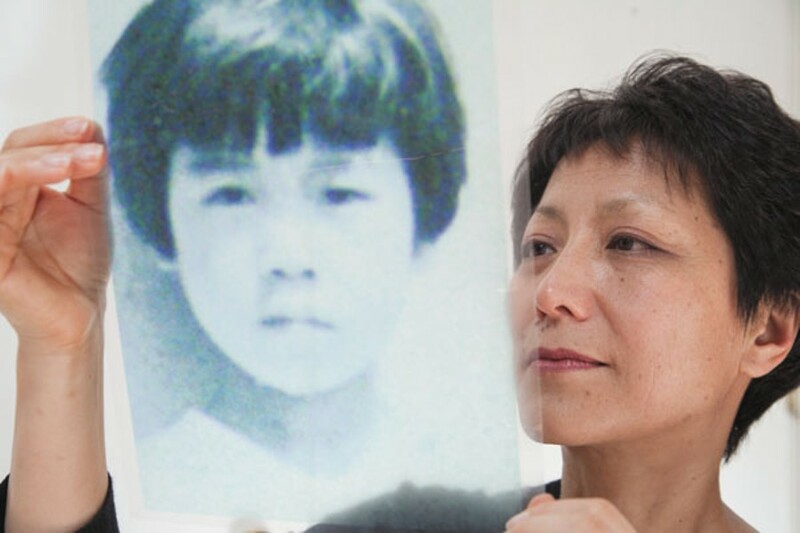 Berkeley filmmaker's quest to find the woman she replaced in a South Korean orphanage — and come to terms with her own identity — turns out to be even more complicated. Deann Borshay Liem in In the Matter of Cha Jung Hee. On the surface, Deann Borshay Liem's identity already seemed complex. Born in South Korea, she was adopted at age eight by a loving white family in Fremont. Gradually, she became acclimated to her new life. In college, she was a peppy cheerleader and sported a feathered haircut. But then Liem discovered a dark truth: She was not, as she was told, a true orphan. Her mother didn't die during childbirth. And what she thought was her birth name — Cha Jung Hee — was not her real name. As memories of a forgotten childhood rose to her subconscious, her life began to unravel. Eventually, Liem discovered her real name — Kang Ok Jin — and found her birth mother and siblings living in South Korea. Cha Jung Hee, who Liem's American parents thought they were adopting, had been taken out of the orphanage at the last minute by her father. Liem was sent in her place and told by the orphanage director to never reveal her true identity. Liem's discovery was disorienting to say the least. Who was she, if she was not an orphaned child? Why had she been swapped? What happened to her real family? Trying to reconcile the disconnection between her two identities, Liem united her biological and adoptive families and captured her journey in a deeply moving video diary, First Person Plural, released in 2000. With that "emotional turmoil" dealt with, Liem decided that her next documentary project — finding the real Cha Jung Hee — would be relatively simple by comparison. After all, Liem had Cha's adoption documents, letters she had written to her family prior to adoption, and some of her belongings. But it wasn't so easy. As captured in her new documentary In the Matter of Cha Jung Hee, which world premieres at the San Francisco International Asian American Film Festival on Saturday, March 13, at the Pacific Film Archive in Berkeley, Liem ultimately discovers a story even more complicated than she had anticipated. "I really thought that once I found her that the clouds would part and I would ... give everything back to her and kind of be free of this shadow in my life," Liem recalled from her Berkeley office on a recent Friday morning. "... But it turned out to be really a journey about finding myself, I guess, and embracing my life here in the US and claiming my life, not necessarily having to live someone else's life or the expectations of having to be someone else. And that was a complicated inner journey." Her difficult personal history made it that much more complicated to commit to film. Which is why it took Liem several years to complete In the Matter of Cha Jung Hee. While retelling some of her adoption story told in First Person Plural, In the Matter of Cha Jung Hee delves deeper, exploring questions about identity and memory through dreamlike sequences, chronicling her search for the real Cha Jung Hee, and examining and critiquing South Korea's adoption policy in the historical context of the Korean War. Following the war, thousands of children in South Korea were sent overseas to be adopted — mostly to the United States and Europe. Initially starting as a humanitarian effort, the adoptions then became driven by profit motive. Despite South Korea ranking twenty-fifth in the world in terms of population size, the country has sent the largest number of children overseas, about 200,000. It peaked in 1985, according to Liem, when 9,000 kids were sent away in one year. The largest concentration in the United States is in Minneapolis. However, decades later, as those children have grown up and come of age, many of them have gone searching for their birth families in South Korea — often armed with video cameras. They produced documentaries, poetry, and memoirs. Connecting Korean adoptees with their homeland has become a veritable cottage industry. Today, there are "heritage tours," camps, organizations, DNA tests, and language classes. Thousands of adoptees return to Korea every year. "I think when Korea first sent kids abroad, no one ever thought that they would ever come back or that they would find birth families," said Liem. In that sense, First Person Plural was groundbreaking for Korean adoptees. Having been screened on PBS, it gained wide exposure, helping open the door to discussions about adoptee issues. The Internet further helped connect adoptees who were otherwise isolated from each other. Liem believes that the large number of adoptions from China — which began in the early Nineties — will lead to a similarly large crop of returning-home memoirs and artistic expression when those adoptees come of age in the next few years. While the merits of adoption are numerous, Liem also questions South Korea's adoption history and policy. Despite the fact that Korea has rapidly modernized since its war-torn roots, Liem finds an orphanage in South Korea full of abandoned babies. "Most of the babies that are being adopted from South Korea right now are from unwed mothers," said Liem. "And part of the reason they're giving up their kids is because of the stigma of being an unwed mother, or the inability to support a child." There needs to be greater social support for single parent families, she says, and more promotion of domestic adoption. In some cases, couples who divorce and want to remarry put their kids into an orphanage. "I mean, give me a break," she said. "That just has to stop." Because the stigma of adoption is still strong, Liem obeyed the wishes of her birth family and has not yet shown First Person Plural in South Korea. She hopes one day that will change. Yet, as Liem often encounters in her search for Cha Jung Hee, the prevailing mode of thought for many Koreans trying to reconcile their own tragic history and modern reality is "to forget the past." Ultimately, though Liem's physical journey is great, her metaphorical journey is even greater. In the Matter of Cha Jung Hee still leaves questions that may never be resolved, but it's almost as if that allows Liem to be no longer beholden to the facts of her past. And in the process, she can be free to embrace her true, present self.